A group Indian American owned technology staffing companies that rely heavily on H-1B visas has moved to a New Jersey court seeking withdrawal of a USCIS policy announced in February to further limit their ability to bring foreign workers to the United States through the visa program. The suit, filed on Tuesday by New Jersey-based tech staffing firms NAM Info, Derex Technologies and Small and Medium Enterprise Consortium, alleges that the policy, which has already come into effect, will ruin their prospects of hiring through the H-1B visa program. The Trump administration has been cracking down on companies that heavily rely on H-1B program. In April 2017, Trump issued the “Buy American, Hire American” executive order to end the abuse of the H-1B visa program. 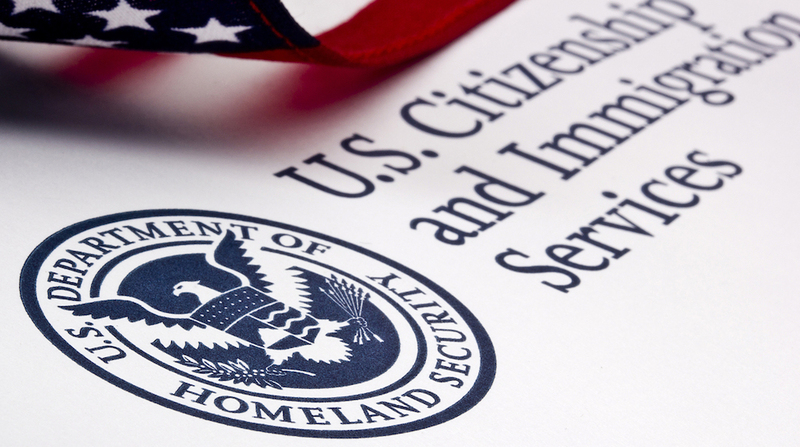 Since then, the administration and the USCIS have introduced a series of measures to make it difficult for companies to hire foreign workers through H-1B. The policy memo crippling subcontracting companies was issued in February. It required the companies to provide proof stating that workers hired on H-1B visa are used only for performing specialized jobs, and that the job matched the work specified on the visa application. The USCIS says the memo is intended to curb abuse of H-1B worker, some of whom are paid less than the federally set wage benchmark. Seeking a temporary ban on the memo, the suit alleges that the requirements laid out by the USCIS are impossible to comply with, and have already led to denials of extensions to H-1B visa holders. “Congress has consistently shown the public policy is to increase access to IT professionals, and not increase burdens on US companies to retain this resource,” it said. The suit also claims that if the USCIS continues to apply the policy memo issued in February, the complainants will face scarcity of employees, which will, in turn, ruin their business. “Without sufficient employees to meet their clients’ needs, Plaintiffs will suffer irreparable harm to reputation and ability to compete,” the suit said. According to the data released by the USCIS in 2016 and 2017, NAM Info and Derex Technologies were granted only 59 H-1B visas. Indian American Vinay Mahajan is the President and CEO of NAM Info, which has Corporate Office and Development Center in New Jersey and also has an office in Bangalore, India. Derex Technologies, owned by Raj Maan, has offices in New Jersey and California, and it has international operations in India and Canada. The website of Small and Medium Enterprise Consortium indicates that a majority of its members are Indian Americans. The company employs professionals in IT, accounting, recruiting and other fields.